I read again The Tinkerings of Robert Noyce for reasons which are not directly related to Silicon Valley or Start-ups. A few days ago, I blogged about an extremely good article from the New Yorker – Our Town by Larissa MacFarquhar. The author illustrates some universal values of humankind through a small community in Iowa. And this reminded me of Tom Wolfe article written for Esquire Magazine in 1983. I found it again online here. It begins with : “In 1948 there were seven thousand people in Grinnell, Iowa, including more than one who didn’t dare take a drink in his own house without pulling the shades down first.” Robert Noyce studied at Grinnell College then left to MIT then to what would become Silicon Valley. Grinnell College was quite advanced in electronics. Tom Wolfe claims: “But MIT had proved to be a backwater… when it came to the most advanced form of engineering, solid-state electronics. Grinnell College, with its one thousand students, had been years ahead of MIT.” And later Grinnell College would invest in Intel, making its endowment unusually successful. I was about to blog here about Wolfe’s article and (re)discovered, shame on me, that I had blogged about it in 2012! 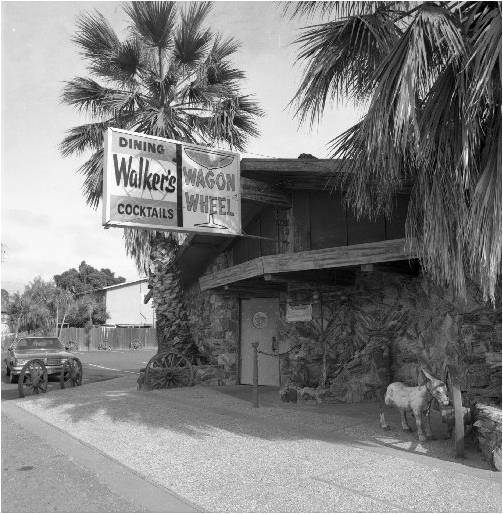 I had mentioneed the piece about the Wagon Wheel bar. Here it is again. Here is another piece about stock options, which I discussed in another recent post: Rewarding Talent – A guide to stock options for European entrepreneurs by Index Ventures. From the beginning Noyce gave all the engineers and most of the office workers stock options. He had learned at Fairchild that in a business so dependent upon research, stock options were a more powerful incentive than profit sharing. People sharing profits naturally wanted to concentrate on products that were already profitable rather than plunge into avant-garde research that would not pay off in the short run even if it were successful. But people with stock options lived for research breakthroughs. The news would send a semiconductor company’s stock up immediately, regardless of profits. There would be so much more to say about this marvelous piece of Silicon Valley and American history. You should read it! This entry was posted in Innovation and tagged Robert Noyce on December 18, 2017 by Hervé Lebret.